One thing that is peculiar and synonymous to every society in the world is the urge and hunger for progress, living on its own without much dependence on other nations and societies of the world. The struggle requires and demands several efforts to achieve this dream as a nation. When we talk of building an economically robust nation or a peaceful nation and even a well-governed nation, the educational institution is, no doubt, the perfect building brick. It is often said that education is the spinal cord or bedrock of our individual or societal growth and development education is seen as a theme that every society cast their optimism. According to Wikipedia, education is the process of facilitating learning or the acquisition of knowledge, skills, values, beliefs and habits. The above Wikipedia definition of education explained that education does not only give one the privilege of acquiring knowledge, it also helps one to develop a sense of morality, ethics and continuous presentation of good habit. Our education system from time past has been bedevilled by a lot of problems. The system is strapped for funds; infrastructure is inadequate as respective states continue to pursue haphazard policies. The cost of teaching facilities and books continue to soar and the fundamental problem remains that of working out a comprehensive policy on education, backed with adequate resources and logistics. It is pertinent to understand that the survival of Nigeria as a viable society will depend on the health of her educational institutions and how well the lecturers and staff are treated, political leaders should take politics out of education, as the continued neglect of this sector would lead to a societal problem in the country. However, in the students’ circle, it is not difficult to hear students announce their hatred for schooling, wishing for consistent strike. They may not be totally blamed, due to less attractive of learning in our institutions. Learning shouldn’t be rigid or boring to the students. It should give room for creativity and innovations. If we really seek a change in both our educational system and our nation, we need to update our system and adopt trending innovations in our institutions of learning. For the educational system of the country to be improved, the society has to first educate and motivate the educators to perform their duties well, but our leaders seem not ready to hear. 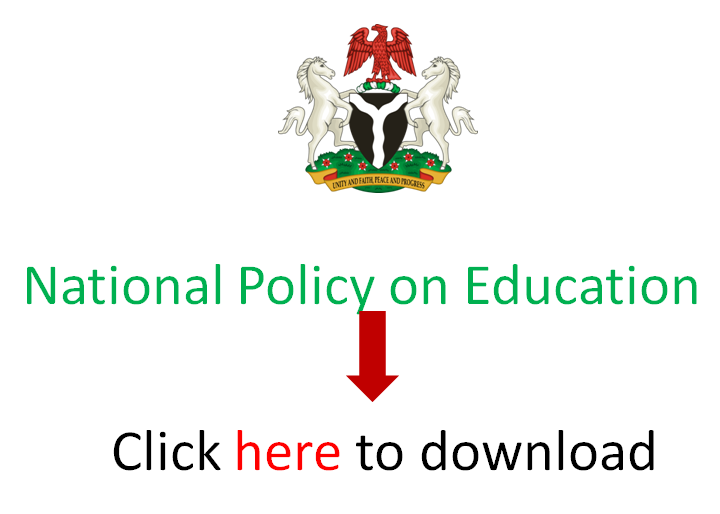 Historically, the increased need for higher education during the oil boom of the 1970’s in Nigeria couched with political pressure led to the establishment of many universities in the society and drastic expansion in enrolments during his period marked the decline in quality education in the society. With the persistent increased in the news of corruption filling the pages of Nigeria newspapers, televisions, radios and magazines, education as important as it is to humanity is still not the solution to the problem of corruption in Nigeria, due to the fact that those waging the corruption war are themselves as corrupt as a parrot. A country that is so much interested in her development like Nigeria, it is needed to change her value system and invest in education which is the intellectual laboratory of any nation and the engine that propels the economy. It is worthy to note that lack of good education and unemployment in Nigeria would contribute to many social ills including crime, prostitution, and the breakdown of law and order. If the society continues to neglect her schools, it could not educate her schools and consequently, the political landscape would be littered with illiterate politicians and the society would be incapable of gathering and maintaining a reasonable database for national planning and other developmental programmes. In an interview with the president of Academy Staff Union of Universities (ASUU), Prof. Abiodun Ogunyemi talked about the genesis of the recent dispute between ASUU and the Federal Government. He stated that the one-week warning strike of ASUU in November 2016, was a culmination of ASUU’s persistent call on the Federal Government to address issues bordering on how to re-position the Nigerian university system, based on the desire to deal with the rot and decay in the system. He also said ASUU had called for the government to comprehensively address the problems associated with universities, but government always said their claims were exaggerated. “In 1992, we started talking about remuneration and welfare issues, because of the exodus of the best and brightest from our universities. That gave rise to the issue of conditions of service. Beyond that, we talked about the issue of funding, university autonomy and academic freedom. The last issue we advocated on is categorized as “other matters” and these are associated with the general working and living environment for university academics”. He noted that government has not done anything on the Needs Assessment Intervention Fund since 2013, that apart from the initial N200 billion funds for 2014, no additional kobo for 2015 and 2016 as specified in the MoU of 2013. “We have other issues like withdrawal of funding support for University Staff Schools, non-registration of university-based PFA called NUPEMCO, and guidelines for implementing the provision of the 2014 Pension Reform Act with respect to professors retiring with their salaries”. However, government needs to take immediate steps to arrest the crisis in university education with particular reference to the public university system. With education restructured and available to all and sundry comes a better nation whose citizens have the tools to join hands in building restructured a nation. Temitope Adigun is a final year student of Mass Communication, University of Nigeria, Nsukka. He is the editor-in-chief of the department magazine, The Jacksonite Magazine. He is also the editor-in-chief of BLACK PRIDE Magazine, a magazine publication geared towards sensitization and promotion of the black man.